Who you are connected to matters. That is why I have decided to partner with specific people that I can provide value to. These entities are excellent in their fields. Give them a look or check out their website if you are need of their product or services. The Know You Project facilitates “lightbulb moments” of discovery, equipping you with helpful tools you need to navigate important relationships, career decisions and more. Mark Champion Real Estate is grateful to be connected with Know You Project. 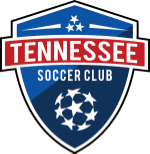 Mark Champion Real Estate with Scout Properties is THE official real estate agent of the Tennessee Soccer Club.